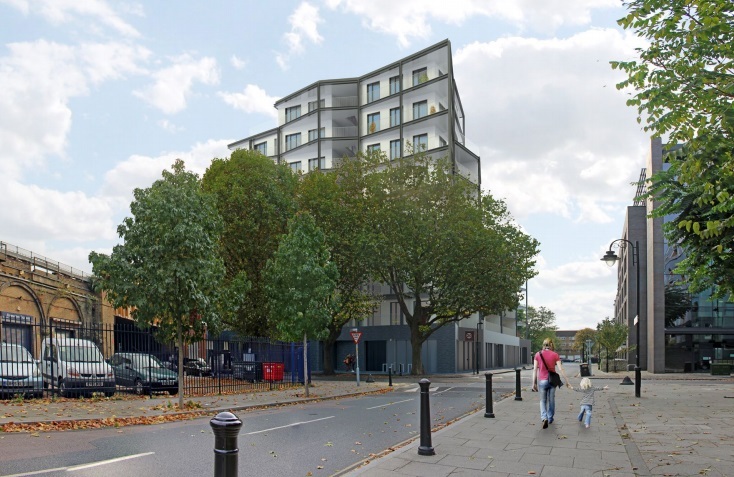 Greenwich Cabinet approve land disposal to private developer for pocket flats. 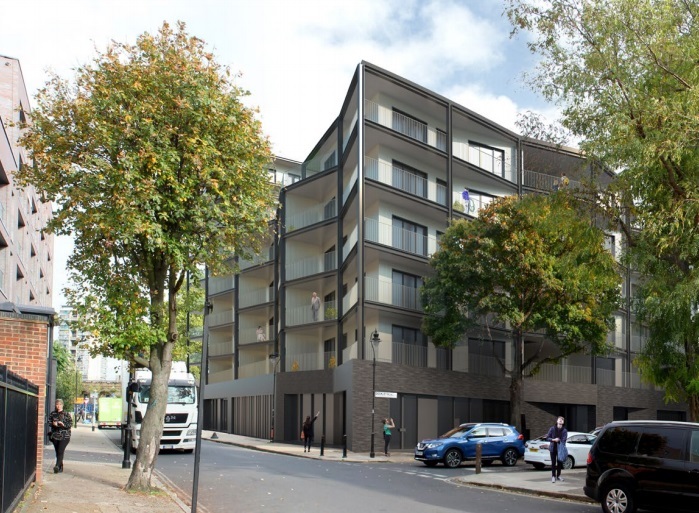 Southwark Council will next week decide on plans to build 111 flats on Dockley Road Industrial Estate in Bermondsey. 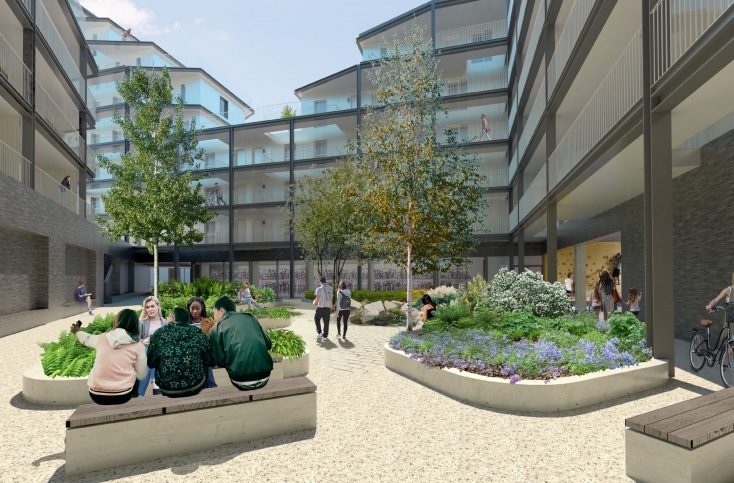 The site is the other side of tracks to the former Spa Road station on the approach to London Bridge. It was the original terminus of London’s first railway in 1836 – the London and Greenwich Railway. Businesses located in arches under the railway such as Kernel Brewery will remain in situ during construction and subsequent completion. The area has seen massive change over the past decade with much industrial land converted to new-build blocks of flats. However maps as late as 1934 show this site as housing. The development is car free except for disabled residents. The Jubilee Line and Bermondsey station are a short walk away. 35% of homes will be “affordable” yet only 25% is social housing. The colour palette is often dark to reference the industrial past (though as stated this area appeared to be residential under World War II). 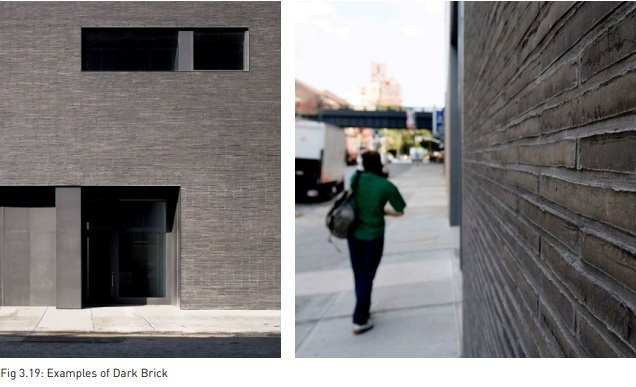 There’s a real danger it will simply appear dark and oppressive with extensive use of dark brick, particularly gien other adjacent sites also use dark brick at street level. 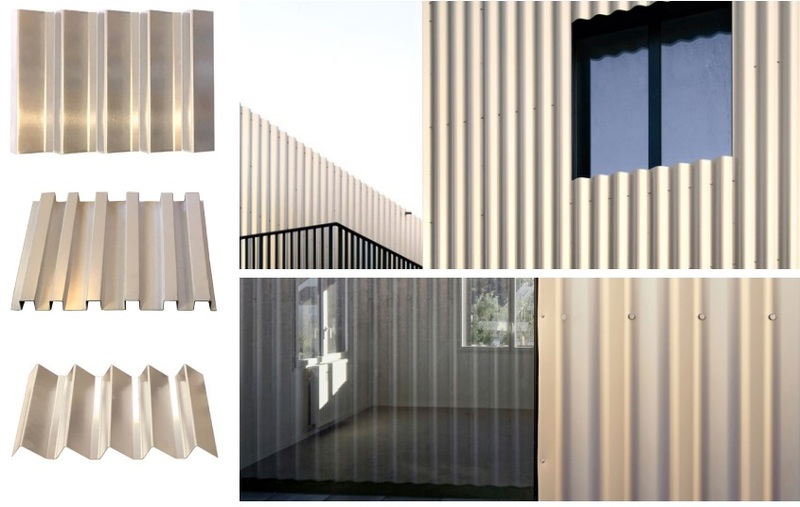 Other material choices are reminiscent of corrugated iron. Was the shanty town look ever big in Bermondsey? The scheme is to be decided on 15th January. Click here to read the report.